The Blue Mountains (Montagnes Bleues) is a 240 km long group of high hills along the Canada and United States border in the Eastern Townships. 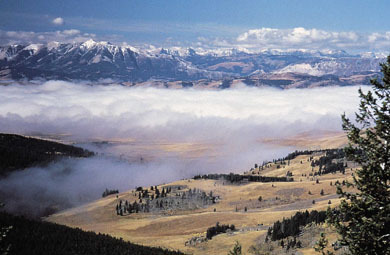 The Cariboo Mountains is the most northern range making up the Columbia Mountains. Cascade Mountains, BC, are the north end of largely volcanic mountain ranges extending to California, 180-260 km east of the Pacific Ocean. There are no active volcanoes in BC like the US Cascades' Mount St Helens and others. The Cassiar Mountains extend from the Yukon Territory 440 km southeast to the confluence of the Finlay and Fox rivers in north-central BC. 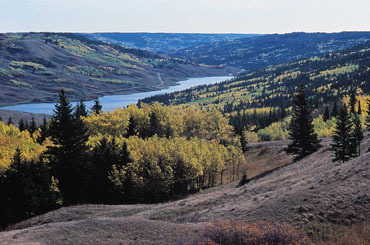 Cassiar is thought to derive from KASKA, the name of a native group whose traditional territory lies in the mountains. 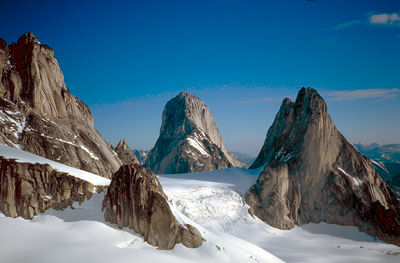 Columbia Mountains are a block of mountains 608 km long and 256 km wide that dominate the landscape of southeastern BC. Fairweather Mountain, elevation 4663 m, is located at the southern end of the St Elias Range, on the BC-Alaska border, where a segment of the BC border juts southwest, nearly cutting off the Alaska Panhandle. Golden Hinde, elevation 2200 m, is the highest mountain on Vancouver Island. 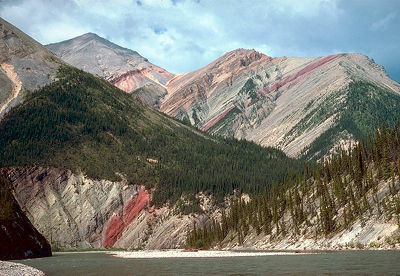 Formed of ancient Precambrian rocks and heavily glaciated during the Quaternary (1.65 million to 10 000 years ago), the mountains support more than 70 small glaciers, the southernmost in eastern North America. 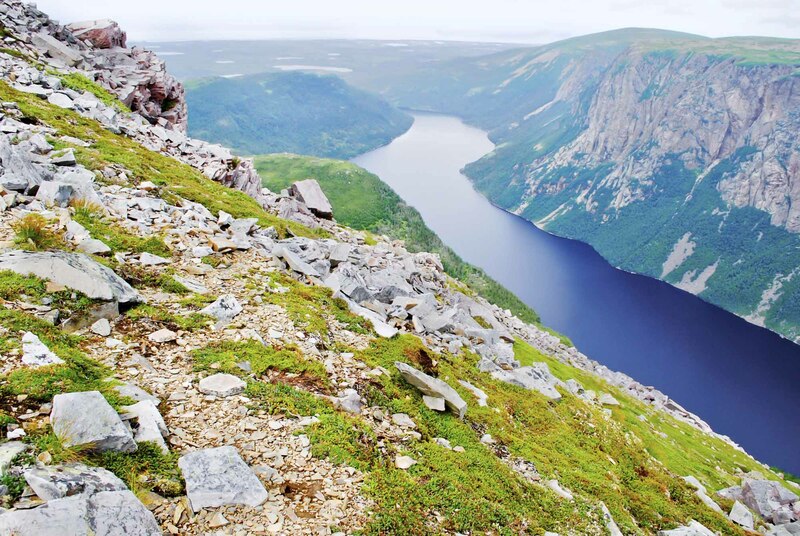 Although the other limits are less well defined, the highlands may be considered to extend 100-200 km northward from the scarps and to stretch from the Gatineau River in the west (mean elevation 400 m) some 550 km to the SAGUENAY RIVER in the northeast. 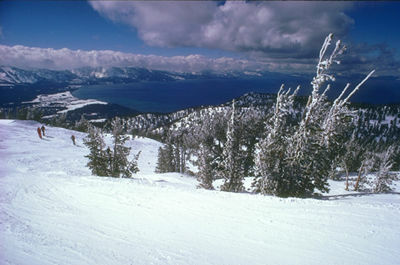 Internationally known for its SKIING facilities, 7 World Cup races have been held there since 1969. The area is superbly equipped; downhill skiers and snowboarders enjoy 51 runs totalling 60 km (15 km are illuminated for night skiing). 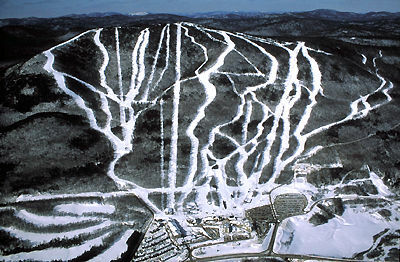 Mont Tremblant, Québec, 968 m, is located 140 km north of Montréal. Mount Assiniboine, elevation 3618 m, the highest mountain between the Trans-Canada Highway and the US border in the Rocky Mts, is often called "The Matterhorn of the Canadian Rockies." Mount Edith Cavell, elevation 3368 m, the highest mountain in the environs of Jasper, Alberta, is situated west of the Athabasca River, 24 km south of Jasper.